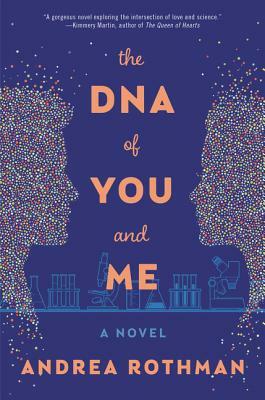 A powerful debut novel—a wonderfully engaging infusion of Lab Girl, The Assistants, and Eleanor Oliphant Is Completely Fine—that pits the ambition of scientific discovery against the siren call of love. How does smell work? Specifically, how do olfactory sensory neurons reach their targets in the brain, where smell is processed? Justin McKinnon has hired Emily Apell to study that question. What Justin hasn’t told Emily is that two other scientists in the lab, Aeden and Allegra, are working on a very similar topic, and their findings may compete with her research. Andrea Rothman was a post-doctoral fellow and subsequent research associate at the Rockefeller University in New York, where she studied the neurobiology of olfaction. She earned her MFA in writing from Vermont College of Fine Arts. Her fiction has appeared in print and online publications such as Lablit, Cleaver Magazine, and Litro Magazine. She lives with her husband and two children in Long Island, New York.